You could say that photography found me. I had just finished my degree in tourism when I made a decision that, without my knowing it, would mark my destiny. I accepted a position on a cruise ship and when I arrived I was asked if I knew how to take pictures. I said yes, even though this wasn’t my specialty, and I spent four years travelling the world, dedicating my time exclusively to photography. At first I only photographed the passengers on the cruise, but as I learned I started to take my camera with me everywhere. In each port I would bike around and capture everything that caught my eye. My technique improved, I was promoted to principle photographer, and, day by day, I learned the fascinating art of taking and even developing photos (at the time I was still using film). Nostalgic for home, after several years I returned to Barcelona. That experience, however, changed me. I went on to get a Master’s degree in photojournalism and I began to shape my practice into what it is now, piecing together, little by little, everything I have experienced and learned. It was another serendipitous occasion that led me into weddings. For many years I was gaining experience while working in specialized businesses. And although I have taken many photographs of couples, this ceremony continues to inspire me. The experience has allowed me to enjoy myself more at each wedding I have the honour to participate in, and at each event I become better at defining how I live and capture these moments. For this reason I am now ready to take the reins and offer my own services. My style is a result of my life: photojournalism taught me to not intervene, but to stay out of the way, capturing the reality in front of me, keeping my eye glued to the camera and allowing life to flow, while instinctively recording all those small instants that move me. Travelling through the world also impacted my work, training me to pay attention to the details of each environment and reminding me to make the most of my surroundings. I am able to find beauty everywhere. 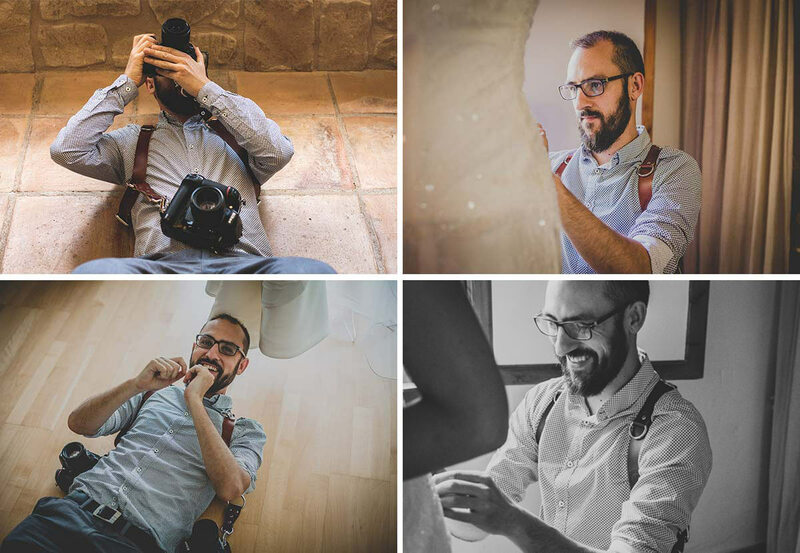 It would be a pleasure to take part in your special day, contributing the best way I know how: by taking pictures that will allow you to build a narrative from your experiences, using images to write the history you share with me.